Oh my, this brings back memories! Back in the day, The Hubby and I would walk up to the drug store, and buy chocolates (especially turtles) a few days after Valentines, then stuff ourselves with the cheaper goodies. The stores are being cheap now, they aren't marking the chocolates half right away. One store I shop at still had Easter candy from last year. Even better than Valentine's Day, right?!?! It seems like this year, there was a ton more leftover than I've seen before. 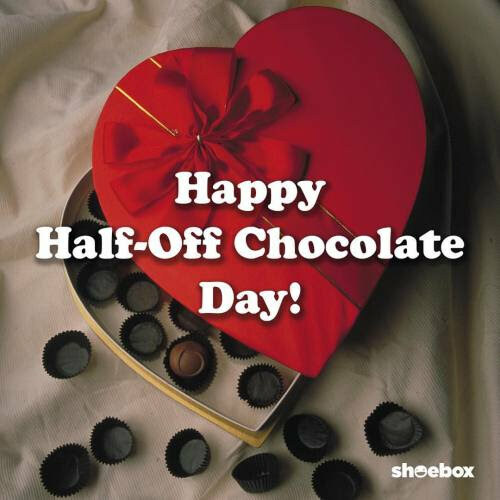 Any day for half price chocolate works for us! Hey, some stores still have chocolate left, it is now more than half off!